When you choose to open up about your past to anyone or even decide to take a walk down memory lane with yourself, don’t let yourself or others dwell on the shoulda-coulda-wouldas regardless if the past was a Rated G or Rated R situation! What matters the most is that you acknowledge that the events happened, learned from them, and is working to OR have let go of the past. Holding on to the past is a heavy burden to carry and I can related that it’s always easier said than done, but believe me I know first hand how the pressures of holding onto the past only hurts the journey of the future. Self destruction is not only culprit of failure when you continue to hold onto the past but be mindful of those around you that continually remind you of the past. Misery always loves company so if you’re around people that negatively remind you of the past and they make unconsciously (or even conscious) remarks or actions pertaining to the past, then reevaluate that situation. Negative reminders are just that – negative. Also, be extra cautious of “new” people that come into your life that you choose to share your past during nights of pillow talk or slumber parties. Don’t let them be the new reminders of your past. Some people may not agree or accept your past and if they can’t or continuously judge your for your past, then reevaluate that situation. Don’t let anyone and even yourself hold your past hostage of your future. 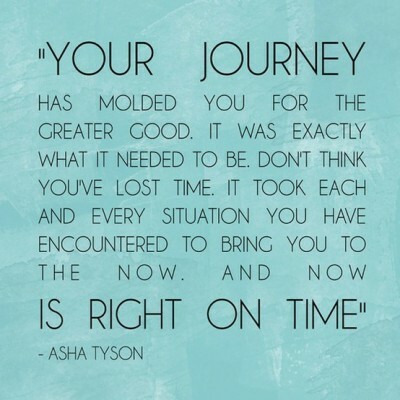 You are who you are NOW because of that journey. Just as you controlled the decisions (and yes, you made those decisions) of what happened in your past, you have control over the future you have as well. Make your life adventure a story to tell. Reblogged this on world spins madly on.